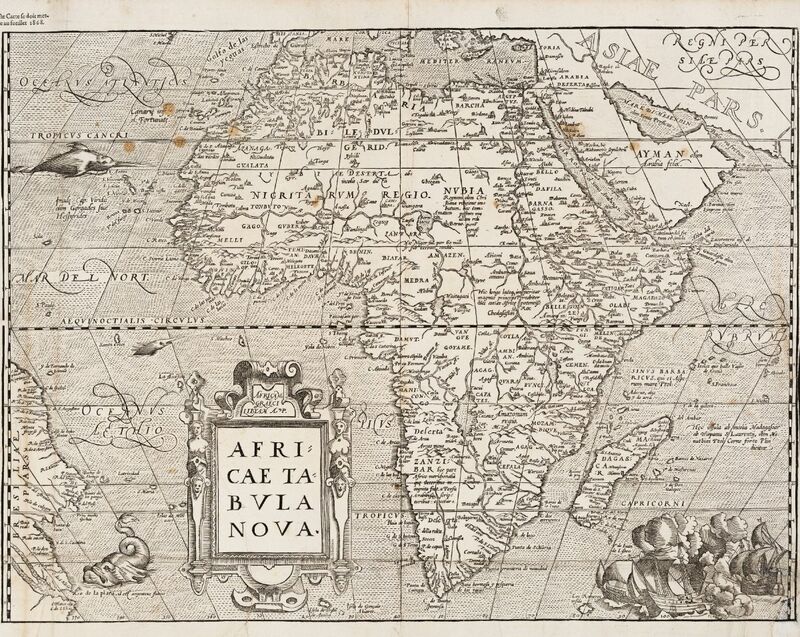 Ortelius' Africa Map as a Woodcut. Rare. 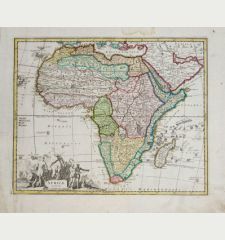 A large and scarce woodcut map of Africa by Francois de Belleforest. 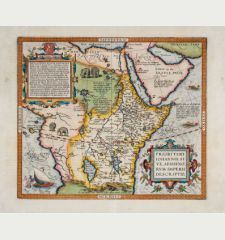 Based on Ortelius' map of Africa from Theatrum Orbis Terrarum, but much rarer than the Ortelius map. 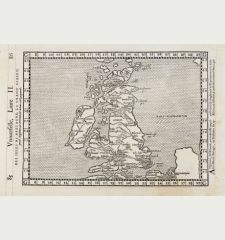 Extremely fine cut for a woodcut map. 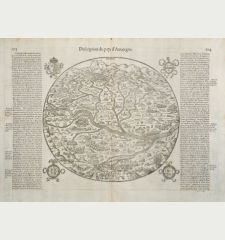 This woodcut was published in La Cosmographie Universelle de tout le monde, printed 1575 in two volumes in Paris by Nicolas Chesneau and Michel Sonnius with the French text by Francois de Belleforest. 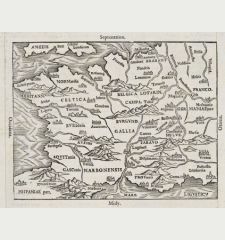 It is a French version of Sebastian Münster's Cosmographia Universalis. 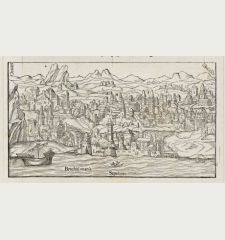 Most of the woodcut maps and drawings of Münster's work were discarded and new woodblocks have been made. 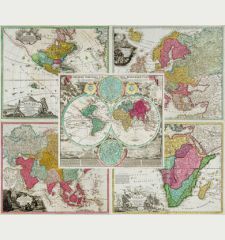 The geographical information is mainly based on Abraham Ortelius and Braun & Hogenberg, but also comes from unknown sources. 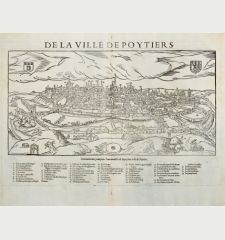 All maps and views of Paris edition by Belleforest are very rare since there was one edition in one language only. 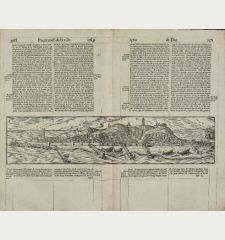 The woodcuts of the Basel edition by Seb. 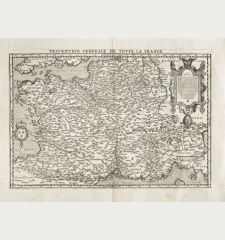 Münster were used in 46 different editions. 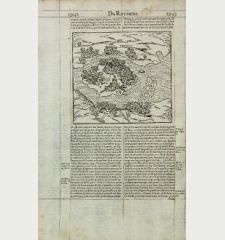 Previously folded to fit into the volume. Staining in upper half. 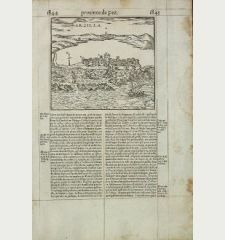 Lower right corner restored and redrawn (~1x1 cm). 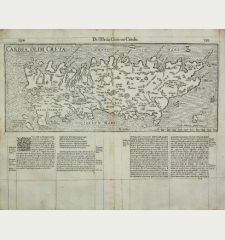 A large tear to the lower left backed. 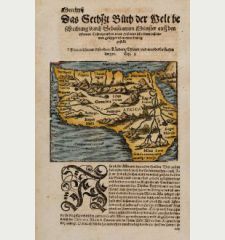 A fine and dark impression. 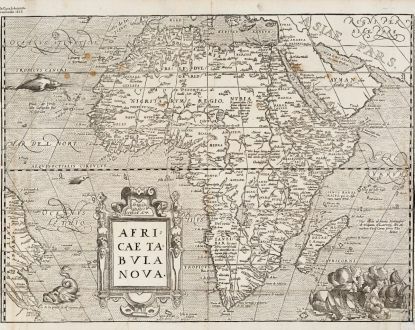 Francois de Belleforest: Africae Tabula Nova.